Yigo is the island’s largest and most northern village. It encompasses thirty-five square miles in this northern region. This village is also the home for Anderson Air Force Base. Over the years, the village of Yigo has been experiencing a lot of development. With a population of around 19,474, the village continues to attract more people. Yigo is a quiet residential neighborhood with numerous housing subdivisions that have sprung up in the last three decades. Even with this occurrence, the village still retains a rural feel thanks to its large open spaces and dense jungles supported by some of the richest soil on Guam. Yigo is a popular location for many local residents and also for our military families working with the U.S. Air Force. A lot of the housing development that is currently ongoing has really transformed the village over recent years. Living in Yigo you can find all types of residences. Some of the housing developments are gated communities while others are starting resemble upscale American style homes with garage doors and long driveways. The village is full of apartment complexes, condominiums, and housing developments. It truly is a large residential neighborhood. Aside from just being a residential community, the village is also equipped with multiple commercial entities to supply the residents’ needs. 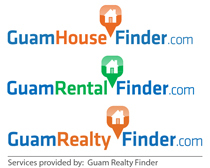 The village has gas stations, restaurants, recreational facilities, Guam Animals In Need (GAIN – a non-profit animal rescue facility), a post office, mini marts, supermarkets, Laundromats, and other businesses that support the community. Even in this residential neighborhood there many thing activities to keep you and your family entertained. The area provides access to a few beaches that are considered as some of the island’s best beaches. Just outside the Air Force base, Guam’s National Wildlife Refuge Ritidian Beach is about a fifteen minute drive down through and along Guam’s northern cliff line. The drive itself is truly a magnificent experience. There are no other views comparable on the island. Ritidian Beach is known for its beautiful secluded sandy beach, with waves crashing upon its shores. There are no commercial buildings, so it is a great place to get away from civilization. You may even find tiny crabs, fruit bats, and the island’s tropical birds that soar above you during sunset. Not into swimming? Near the beach there are caves that were used by the Japanese in WWII for shelter that still remains and to be explored, or just sit back on the white sands of Ritidian and enjoy the island breeze. If enjoying the beach is not your thing or you are just looking for a different adventure or activity, Yigo still has a few more things it can offer. Yigo is well equipped with multiple sporting facilities. Yigo is home to the island’s first and only official race track. Many of the island’s local racing enthusiasts and motor heads frequent this racing facility. The facility hosts a drag strip and an off road track. Weekends are when this facility comes alive with the roar of powerful engines. The village also provides other facilities for its athletes. In the center of the village, the very popular baseball field is always active with residents playing throughout the week. There is also a basketball gymnasium a few blocks away where it is just as busy or even busier with the village’s youth. What are your hobbies? Yigo is home to a few unique organizations on Guam. The islands only animal shelter that houses abused and stray cats and dogs, G.A.I.N. (Guam Animals In Need) has a lot of heart for our four-legged friends. Many volunteers and families travel there just to play with the animals. Sleeping Meadows Ranch is the only horse ranch on Guam that offer horseback riding. It is a great activity that is sure to make memories worth a lifetime. Yigo is home and home to many. It is full of beautiful homes with large yards and friendly neighbors. Plus, there is much to keep you and your family entertained. We hope you find the village just as convenient and fun as we do. See you soon!